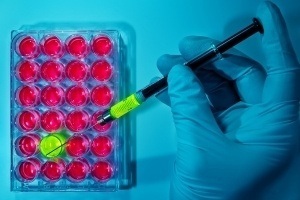 The fact that Polysorbate 80 “may cause cancer based on animal test data” and may be mutagenic alone should be enough to require vaccine manufacturers and the Food and Drug Administration to provide credible scientific evidence that it is safe to include Polysorbate 80 in vaccines given to humans. Polysorbate 80: Damage to the Brain? Dr. Palevsky asks some crucial questions regarding whether Polysorbate 80 is having negative effects on and facilitating toxic insults to the brain via vaccination. Polysorbate 80: Damage to Uterus? The question that needs to be answered is whether the demonstrated toxic effects of Polysorbate 80 in animals, including damage to the uterus and ovaries leading to infertility, applies to humans as well. Polysorbate 80: Damage to Immune Function? There are also concerns with the use of detergents in vaccines. Our body has something called the Membrane Attack Complex (MAC)—one of the immune system’s toughest weapons.2 When the body identifies a pathogen, MAC proteins kill the cells of pathogens by tunneling through their surface membranes thus causing them to leak or explode. It is obvious that there is a glaring lack of basic science research into the toxic effects of the vaccine ingredient, Polysorbate 80, on human health. Some argue that ingredients like Polysorbate 80 in vaccines are safe and not dangerous simply because they are present in vaccines in miniscule amounts. However, the fact remains that the federal vaccine schedule directs doctors to give infants and children a whopping 49 doses of vaccines by the age of six.11 What are the cumulative effects of multiple vaccine ingredients on the human body? Shouldn’t we have the right to ask for evidence of short and long-term safety if we are going to inject something into our bodies or our child’s body? 1  Polysorbate 80: What it is? Drugs.com. 2  Polysorbate 80 Risks . Vaccine Choice Canada Dec. 9, 2013. 3  Polysorbate 80 . TruthinAging.com. 4  Healy M. Is Common Food Additive to Blame for Rising Rates of Bowel Disease? Los Angeles Times Feb. 25, 2015. 5  Centers for Disease Control and Prevention. Vaccine Excipient and Media Summary . CDC.gov February 2015. 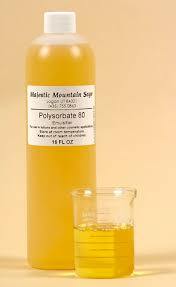 6  Material Safety Data Sheet Polysorbate 80 . ScienceLab.com May 21, 2013. 7  Pond M. The Toxic Ingredients in Inoculations . The Weston A. Price Foundation Aug. 3, 2015. 8  Palevsky L. Aluminum and Vaccine Ingredients: What Do We Know? What Don’t We Know? International Medical Council on Vaccination Jun. 10, 2009. 9  Blood Brain Barrier Working Group . John Hopkins University. 10  Mercola J. What is in the flu vaccine that can cause infertility? Mercola.com Oct. 15, 2010. 11  Visualizing Childhood Vaccination Schedules Across G8 Countries . British Medical Journal 2015; 351. Read the full article on The Vaccine Reaction .